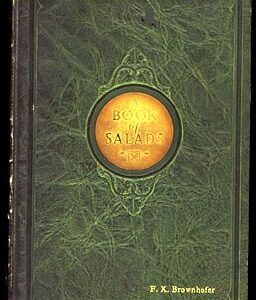 Savannah Cook Book, 1933, First Edition, Hardback Cookbook. Savannah Cook Book, 1933, First Edition, First Printing. Rare hardback copy. 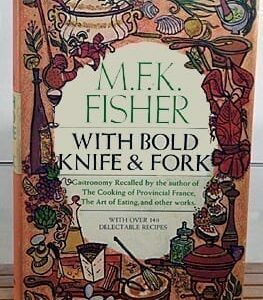 Only time I’ve seen this cookbook in the hardback edition. Subtitle: A Collection of Old Fashioned Receipts from Colonial Kitchens, collected and edited by Harriet Ross Colquitt. With a poetic introduction by Ogden Nash and with whimsical decorations by Florence Olmstead. First edition, presumed first printing, no other being mentioned. 186 pages. 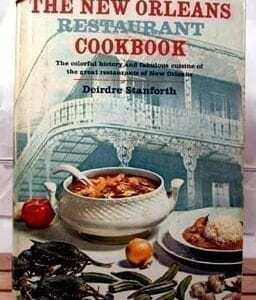 This cookbook is in excellent antique condition. Boards are covered with rust colored linen. Cover has rounded corners, some light stains, and heavy shelf wear at the corners and at the base of the spine. The back hinge was exposed, but holding. We have reinforced the hinge with clear librarian’s tape. The binding is slightly loose, but holding. With the exception of a very few, light spots, pages are all clean and clear and uniformly tanned at the edges. No notations. No tears or bent corners. Dust jacket is lost. The one great thing about these recipes: You often add a glass of wine right before serving. You just can imagine the cook pouring two glasses! Also, the cartoon illustrations are wonderful. Very, very funny! (Once you get passed the fact that they are offensive, of course.) Colquitt was an excellent writer. She tosses in asides and historical details with merry abandon, like the Ritual of the Bird’s-Eye Pepper or the backgrounds of hoe cake and Johnny cake. 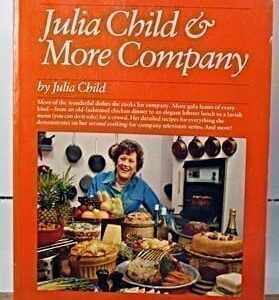 You will love this cookbook.